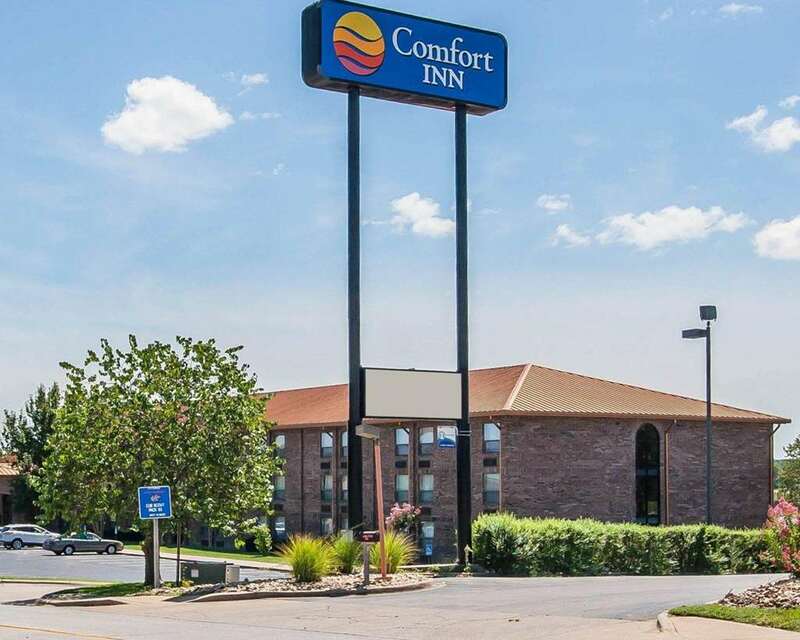 Behind every great day is a great night at the Comfort Inn at Thousand Hills hotel in Branson, MO. Our smoke-free hotel is near attractions like the Andy Williams Moon River Theatre, Thousand Hills Golf Resort, Stone Hill Winery, Grand Palace Theatre and the Dolly Parton Dixie Stampede Dinner Theatre. Take advantage of our free hot breakfast, free WiFi, fitness center, indoor heated pool and guest laundry services. Guest rooms include TVs, hair dryers, coffee makers, microwaves and refrigerators. We also offer membership to the Choice Privileges Program, which gives members the opportunity to earn valuable rewards points toward airline miles, gift cards and free hotel room nights. The Shoppes at Branson Mead.